Wright Apartments consists of 30 buildings constructed between 1940 and 1980. It includes 280 apartment units and associated common areas, parking, and a management office. Investment Properties Management Inc. has been involved since 1973 as the owner, operator, and asset management company for the property. 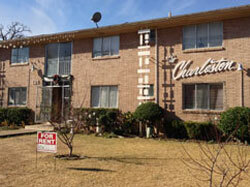 The properties are located within walking distance to Texas Tech University and downtown. It is included in one of the largest urban renewal projects in the nation. All of the properties have been renovated and repositioned in the rental market. Forest Creek Condos is a 59 unit multifamily property that was constructed by Investment Properties Management Inc. in 2000. It’s in close proximity to Dell’s Corporate headquarters and adjacent to Forest Creek Country Club Golf Course making it a desirable place to live for professionals in Round Rock. 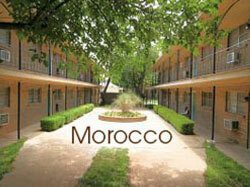 The property consists of 25 rental units and 34 owner occupied units. The property and Homeowner’s Association has been managed by Investment Properties Management Inc. since its inception. The Charleston Apartments is an 18 unit multifamily property that was acquired by the Dallas branch of Investment Properties Management Inc. in 2012. It is located just minutes from Downtown Dallas in the heart of the quickly redeveloping North Oak Cliff neighborhood. Historically 100%, this property is positioned well for future area improvements in what can easily be described as one of the fastest improving areas in Dallas. 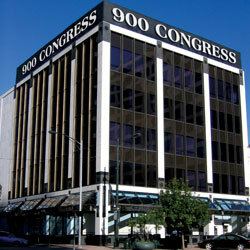 This property was acquired in 1995 and has been the headquarters of Investment Properties Management Inc. for 18 years. It is 64,000 SF and includes notable tenants such as Prosperity Bank, Texas Lawyers Insurance Exchange, and The Texas Public Policy Foundation. Upon acquisition this property was completely renovated including HVAC upgrades, complete hazardous material remediation, and new finishes throughout the lobby and corridors. It was 60% occupied with 1970’s styling. The occupancy was increased and has never been below 90% occupied. It has been retrofitted with the latest in energy conserving HVAC equipment with heat recycling as part of the system, security systems, interior and exterior lighting, solar film, and new roof systems. Davis Place Townhomes is a 7 acre property consisting of 47 luxury condominium townhomes that was developed and completed in 2006 by Investment Properties Management Inc. It was constructed and sold-out in approximately 2 years, making it our most successful ground-up development in Austin. The property includes a community pool, hot tub, and it is connected to the walking trails a green-space of the Western Oaks subdivision in SW Austin. Beckett Place Townhomes is a 37 unit luxury condominium townhome property that was developed, constructed and marketed in 2002 by Investment Properties Management Inc. The property includes green-space and connects to the trails in Western Oaks subdivision in SW Austin. Westcreek Ranch Townhomes is a 61 unit luxury condominium townhome property that was developed and constructed and marketed in 2000 by Investment Properties Management Inc. The property is located on the banks of Williamson Creek in SW Austin, connected to the Williamson Creek Greenbelt Park. Marbella Villas Condominiums is a 56 unit condominium townhome property that was developed and constructed and marketed in 1999 by Investment Properties Management Inc. 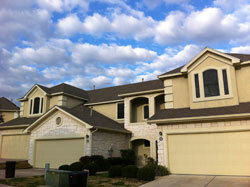 The property is located in North Austin near the corporate campuses of Google, Apple, and Samsung. During the 1980’s and 1990’s Investment Properties Management Inc. was involved in the development, marketing and management of multiple projects. It owned and operated an 80,000 square foot office building in Clear Lake near NASA. It was involved in the development of a ski resort and hotel in Angel Fire New Mexico. It operated over 2500 units of mini warehouses in the Southwest. IT was responsible for the initial marketing and leasing of over 1000 units of multifamily properties in the Southwest.